Experienced in installing a selection of high quality boilers and full central heating systems, Safegas is Wetherby’s local heating expert. Helping our Yorkshire neighbours with their heating needs for the past 23 years, we pride ourselves on offering local Wetherby, Harrogate and Leeds new boiler installation quotes for a reasonable price. Whether you’re looking to upgrade your existing boiler for a new A-rated condensing model, want to remove your old hot water tank, or would like to enquire about renewable options such as an air source heat pump - Safegas can help you find the best solution suited to your home. To find out your indicative new boiler quote Yorkshire residents should answer the questions above. A hot water cylinder is often found in an airing cupboard or sometimes in the loft, and is used to store your home's hot water. Water cylinders are common in homes with 'conventional' or 'system' boilers. *Indicative Quote - subject to survey. 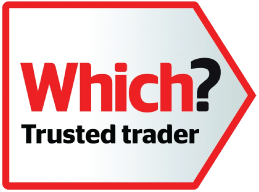 We follow every booking with a quick visit from one of our directly employed technicians, just clarify the product you have chosen will be the best suited for your home heating needs, and to make sure you aren't paying any more than you need to. Please take a moment to provide your details. This will help us give you an accurate quote. So we can check we have a local installer in your area. We'll send you your quote by email, but we'll never spam you. So we can get in touch about your quote. Safegas would love to keep you up to date on offers, news and events that we think you'll find interesting. We respect your privacy and promise not to inundate you with marketing messages, however, if you prefer NOT to be contacted please tick the following boxes. A local, trusted engineer will survey your home and provide a exact quote. If you are happy to proceed with the quote, your local engineer will install your new boiler. Our Worcester Bosch boilers include a 10 year minimum guarantee. You'll receive an email with your quote. We’ll send your indicative quote to the email address you provided. To help with any queries you may have about your quote we'll give you a courtesy call. To enable us to fully assess the heating requirements of your home we’ll send a surveyor to your property, free of charge.